If your front teeth are discoloured, broken or crooked, they can be restored using veneers or crowns for a natural and pleasing result. Bonding a material to the teeth will give you that ‘wow!’ factor by changing the colour, shape or size of the teeth. Depending on your requirements, you can choose either a porcelain or composite resin veneer. At Weston Dental Surgery in Canberra, we use a CEREC unit, which can prepare your porcelain crown or veneer while you wait, so there is no question of you going away and having to come back a week or two later to have beautiful teeth. See below for more information. No more returning to the Dentist to have those fiddly temporary crowns re-cemented. 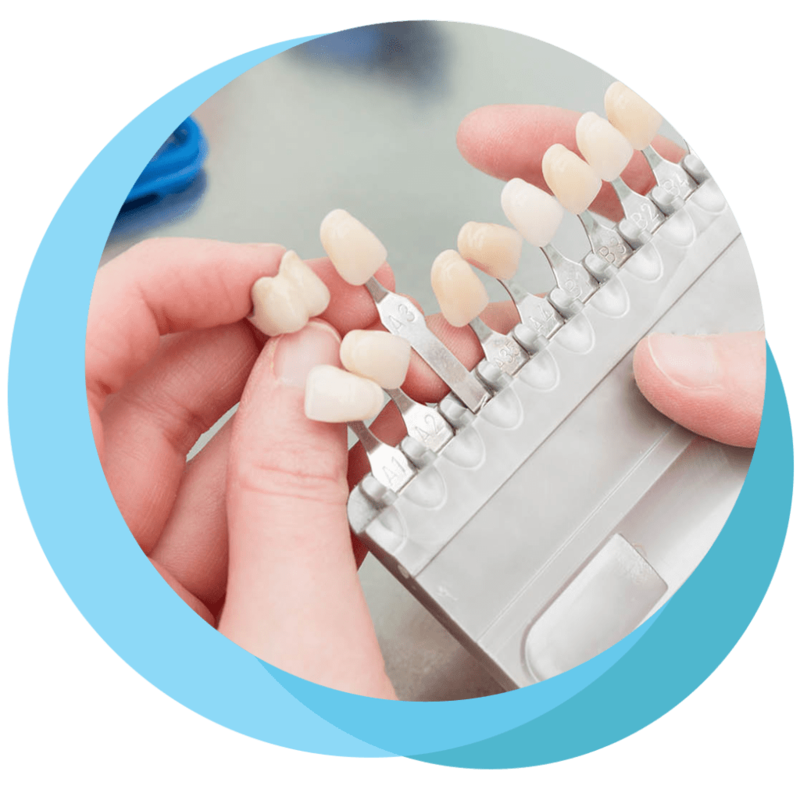 Your porcelain crowns are ready to be fitted on the same day with the latest CEREC technology. Visit us at Weston Dental Surgery located in Weston Creek, Canberra – you can even see your crown being made. If you have a missing tooth and you do not wish to have a denture that has to be taken out at night, visit us at Weston Dental Surgery. Our Dentist, Nithya, has completed a post-graduate course at the University of Melbourne and can advise you of the Implant options. For more information about any of these options, contact us today.